Approximately one in four Americans avoid smiling due to the poor state of their mouth and teeth; if you count yourself among them, it’s time to make a change! Teeth whitening can make a huge difference, but may simply not be enough for some people. If the shape and arrangement of your teeth prevent you from talking to others as much as you’d like or causes you discomfort, it’s high time to find a dentist to straighten them out. 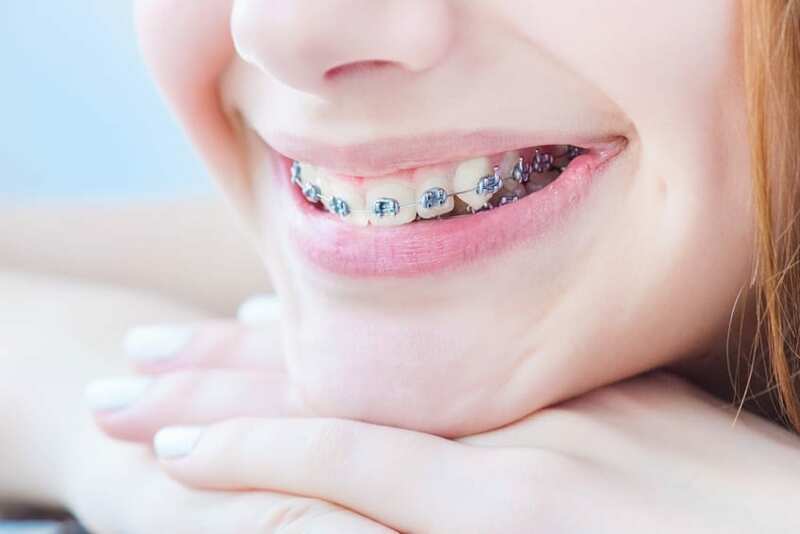 Traditional Braces: Dental braces are the ideal candidate if your teeth are crowded, crooked, protruding, out of alignment or have irregular spacing. The tight, powerful wiring allows dentists to correct complex malocclusions (imperfect positioning of teeth when the jaw is closed). Additionally, the time that they remain on the teeth is extensive — usually, one to three years, depending on the case — which gives those major problems enough time to be corrected. In terms of cost, braces usually run between $3,000 and $7,000. Invisalign: Your Invisalign dentist will tell you if Invisalign is a better fit based on the simplicity of your orthodontic fix; they’re perfect for overly crowded teeth, widely spaced teeth, overbites, crossbites, mild relapse (after traditional braces treatment) and simple bite irregularities. Most appealing is their appearance or lack thereof — they’re known as “invisible braces” for a reason, and generally only need to be in place for about 20 hours every day. They are significantly less invasive, but success depends on the commitment of the patient. Treatment is usually completed within one year, but the cost remains similar: $3,000 to $5,000. The best way to ensure your mouth is getting the right attention is by consulting with your dentist. Some Invisalign dentists may tell you that traditional wire braces are the better fit, and regular dentists may refer you to an Invisalign dentist; it is all dependent on the needs of your teeth (with just a little bit of personal preference)!